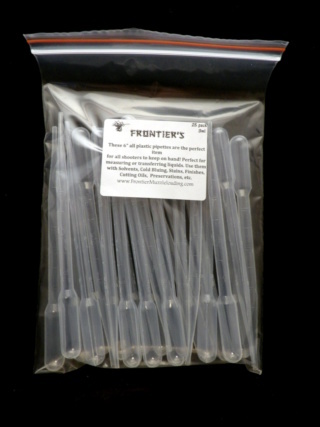 Frontier's 25 pack of 6" 3ml Pipettes. Perfect for measuring or transferring liquids. 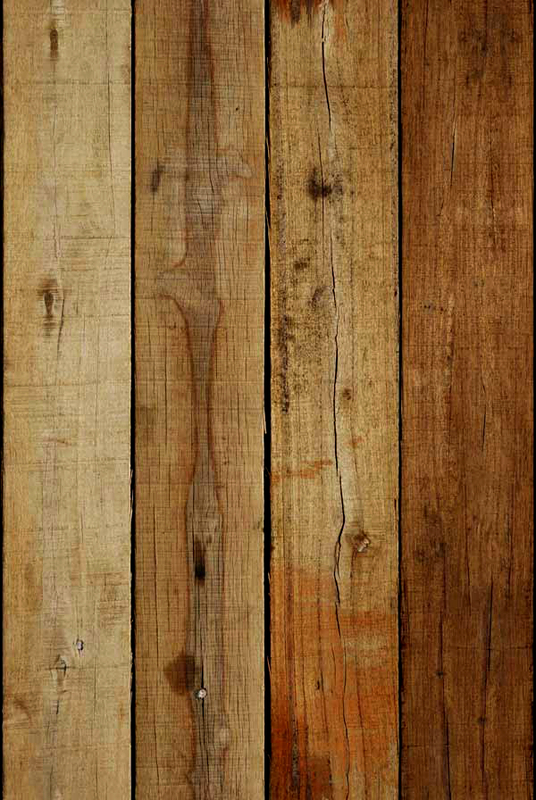 Use them to apply Solvents, Cold Bluing, Stains, Finishes, Cutting Oil, Preservation, Etc. The handy 6” length allows you to put the liquid exactly where you want it. 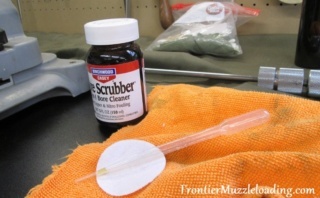 This is great for cleaning your pistol, rifle, and shotgun or muzzle loader. You are buying a single back of 25 6" 3ml pipettes! Yes, that is correct... 25!!! We personally use and love these pipettes! We use them often for applying a measured amount of bore cleaner to a cleaning patch and especially when refinishing gun stocks where we apply one drop at a time to the wood and work that single drop in before applying another drop.